When you’re writing, you can feel like a lone wolf. You spend hours typing away, hoping to produce something exciting, unique, thrilling… something special. Sometimes you’re delighted, other times disappointed. And on occasion, you’re happy if you can produce a piece that’s even readable next time you sit at the computer. It’s no wonder that the pressures can tumble on top of you, making it difficult to see where you’re going next. Winter seems to be a particularly difficult time for many writers. I’m hearing frequent complaints about how the inner critic is gaining in power as the nights draw in. Perhaps, like the wolf, we all feel more hungry and desperate for success as the nights lengthen and the chill spreads? But remember – it’s up to us as writers to manage our mood and our workload. How we measure productivity, success and personal happiness depends upon our own attitude and approach. So, don’t let the cold and dark get you down. See the long nights as a gift: a great opportunity to snuggle in and take advantage of extra writing time. And make sure you get plenty of fresh air. Juggle your schedule to fit in as many outdoor hours as you can manage. I write full time, so it’s easy for me to jiggle my schedule to include a daily run, long walks and a bit of gardening. But just because something’s possible, it doesn’t mean it’s a given. We can all make excuses. I just make sure that I stick to my schedule because I ‘d get cabin fever if I didn’t. Even if you work full time, fresh air and exercise are necessary. Try and squash in a walk to work, a lunchtime stretch of the legs, an after-work swim. Trust me, you’ll feel better for it. And whatever you do, don’t let the writing slip. 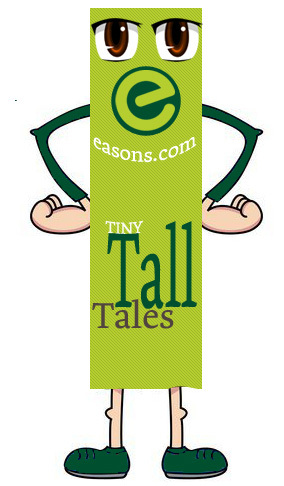 This week, I was delighted to find out that I was a runner up in the Easons Tiny Tall Tales competition. It’s not a major competition but it’s still a boost and like any other writing exercise, I learned something from it. The way I see it any little reminders like this really help a writer to keep going. So – how will you keep your writing going and make this your best winter yet? A truly romantic true story!